21/11/2013 3 NEW ATARI ST PRODS ADDED? 18/4/2012 NEW AMIGA 500 PROD ADDED? - NEW SUCCESS CO-OP WITH GHOSTOWN. 1ST AT REVISION 2012 OLDSKOOL DEMO COMPO. 30/8/2011 NEW ATARI PROD ADDED? 22/5/2011 ME UPDATE YOU LONGTIME? 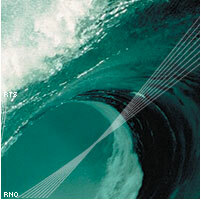 15/2/2008 RNO RECORDS #100 OUT! 18/7/07>> LONG TIME NO UPDATE ! - LONG OVERDUE, 3 PRODUCTIONS FROM THE PAST YEAR WERE ADDED. 11/8/06>> ASSEMBLY 2006 OVER ! - RNO RULED 1ST AT ASSEMBLY 2006 OLDSKOOL DEMOCOMPETITION! CHECK OUT HTTP://WWW.MOTOROLAINSIDE.ORG FOR MORE INFORMATION! XNI JOINED AS MUSICIAN - WELCOME! ONCE AGAIN, RNO ROCKED AT DEMOPARTY. BRITELITE'S 64K INTRO 'QUACKER' CAME 3RD. PFEW! MOTOROLA INSIDE IS OVER. RNO RELEASED 2 DEMOS, 2 PICTURES AND 2 MUSICS. BRITELITE'S 64K INTRO CAME 2ND AT BREAKPOINT 2005 INTROCOMPO! ONCE AGAIN, THANKS TO BRITELITE [CODE] AND RM [MUSIC]. INTRO CALLED PHUNKY WAS RELEASED. PURE 68000/OCS POWER. 11/8/04 >> ASSEMBLY 64K WINNER! WE CAME 2ND AT ASSEMBLY 2004 64K INTRO COMPO! BIG HAND TO BRITELITE [CODE] RM [MUSIC]. DOWNLOAD INTRO FROM OUR PRODS PAGE. RM [MUSIC] AND FRAGMENT [GFX, 3D, CODE] JOINED RNO! WELCOME! RNO RELEASES TWO NEW INTROS AT BREAKPOINT DEMOPARTY. BRITELITE'S "ELECTRONIC SOUL" REACHED 2ND PLACE AND JPV'S "AIKA" (MOTOROLA INSIDE 2004 PROMOTIONAL INTRO) REACHED 4TH PLACE! GOOD WORK! SOME OLDER NEWS FROM 2003. IT HAS BEEN A WHILE SINCE LAST UPDATE. >> RNO AND DAMONES WON FLASH DEMOCOMPO (ONCE AGAIN) AT ASSEMBLY 2003! >> WE RELEASED "TSATTI XP" AND REACHED 3RD PLACE IN #AMIGASCNE SEMIANNUAL FAST COMPO! >> WE RELEASED "HOROPERSE" AND REACHED 4TH PLACE IN #AMIGASCNE PSEUDOANNUAL FAST COMPO! KLON JOINED THE FLASH SECTION! WELCOME! DOWNLOAD LINKS FINALLY FIXED, SO GO AND GRAB 'EM PRODS.